Researchers say they have worked out a mathematical formula to find the perfect human voice. The study, commissioned by Post Office Telecoms, asked people to rate 50 voices then analysed the results. 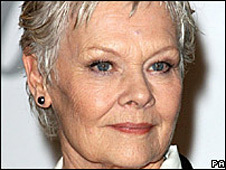 It found the best female voice to be a mixture of Mariella Frostrup, Dame Judi Dench and Honor Blackman. Alan Rickman and Jeremy Irons did best for the men. The research was conducted by linguist Andrew Linn, of Sheffield University, and sound engineer Shannon Harris. The pair worked out their formula based on the combination of tone, speed, frequency, words per minute and intonation. They concluded the ideal voice should utter no more than 164 words per minute and pause for 0.48 seconds between sentences. Sentences themselves should fall rather than rise in intonation. Vocal traits associated with positive characteristics, such as confidence and trust, scored highly with listeners. Professor Linn said: "As humans we instinctively know which voices send shivers down our spine and which make us shudder with disgust. "The emotional responses panellists had to the voices were surprising and go some way to explaining how voiceover artists or radio DJs are selected, or why particular celebrity voices appeal." He said most men found presenter Mariella Frostrup's voice "mesmerising" because it was deep, slow and confident. Actor Jeremy Irons came very close to the ideal voice model, speaking at 200 words per minute and pausing for 1.2 seconds between sentences. Professor Linn said this explained why his "deep gravelly tones" inspired trust in listeners. He said: "This formula gives us an exciting glimpse into the way voices work and what makes them appealing or repelling." The formula showed the BBC's Jonathan Ross, on the other hand, spoke too quickly, with very short pauses between sentences. The researchers said the presenter's varied range of voice, with frequent highs and lows was associated with expressiveness and intelligence. But his rising intonation was usually linked with someone weak or unsure.